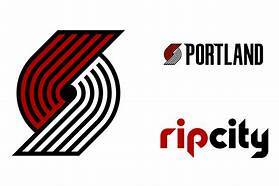 Portland @ Brooklyn NBA rated Free Pick for Thursday. 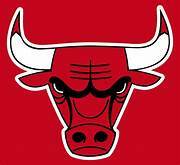 Written by National Basketball Association Expert Betting Analyst Charlie Red McDougall. The (34-23) SU, (31-26) ATS Portland Trailblazers broke a two-game losing streak by taking down Golden State as 2 point home UNDERDOGS ATS before the All-Star break. Portland has the fourth best record in the Western Conference and has won six of their last ten before the break. All Star point guard Damian Lillard is questionable tonight with a slight ankle injury. Portland is 9-1 ATS their last ten after playing on three days or more rest. The UNDER is 7-1 Portland last eight vs. Teams with a winning SU record. The OVER is 5-1 the last six between the teams. Portland is 3-2 AGAINST THE SPREAD their last five on the road. The (30-29) SU, (33-26) ATS Brooklyn Nets beat Cleveland 148-139 as 7 point road FAVORITES ATS in overtime their last game on February 13th. Brooklyn Nets shooting guard Joe Harris won the three-point contest at All-Star weekend in Charlotte. It’s an area where the Nets flourish, they shoot (33.5%) from beyond the three-point line which ranks 4th league-wide. Brooklyn is 2-3 AGAINST THE POINT SPREAD their last five at home. The OVER is 4-1 Brooklyn last five following an SU win. The Nets are 10-5 ATS their last fifteen overall. OVER bettors has made profits in 4 of the last five between the teams in Brooklyn. Thursday’s game is 7:35 PM EST at Barclays Center in Brooklyn, New York. The local television network will be broadcasting. The Betting Line has Brooklyn as 2 point home UNDERDOGS ATS. The TOTAL is 230 points for Thursday’s contest. It’s refreshing to hear Portland All-Star point guard Damian Lillard (26.3) points per game express his interest in signing a long term contract with the Trailblazers. The former Weber State University product recently told ESPN reporters he’s not chasing an NBA title which doesn’t mean he won’t compete at a high level. Portland has plated one game without Lillard this season a 120-111 victory over Atlanta. Head Coach Terry Stotts probably won’t have his leading scorer in the lineup tonight, but he still has C.J. McCollum (21.0) ppg to take over in the backcourt. The Trailblazers offense puts up an average of (113.3) ppg on (46.3%) shooting from the field. However, their (36.7%) shooting from beyond the three-point line is the 27th league-wide. Portland allows opponents (110.3) ppg with the (36.7%) on three-point shooting is what they need to worry about tonight. Portland has held Brooklyn to 100 points or less just one time in the past seven meeting, and that was in the 2014 season. OVER bettors seem to like this game tonight with the total trending upward. The NBA Handicappers at Charliessports.com has a FREE PICK on Portland-2, we don’t like the TOTAL with the status of Lillard coupled with Brooklyn having injuries to Spencer Dinwiddie and Caris LeVert. Bovada.Lv list the Portland Trailblazers win total at 42 games for 2018-19. Joe Harris wasn’t the only member of the Brooklyn Nets to have his name called on NBA All-Star weekend. Guard D’Angelo Russell (20.3) ppg was chosen to play in the classic. Head coach Kenny Atkinson has fans in the largest borough of Gotham believing the franchise is heading in the right direction. Despite the fact they’ve dropped six of ten SU they compete every time they take the floor. The Dinwiddie injury happened at the worst possible time, but Atkinson isn’t making any excuses; it’s the next man up attitude. The Nets (112.3) ppg they average on offense is the 14th league-wide while the (112.7) they allow opponents is 21st. Former New York Knicks standout post player Enes Kanter returns to the area and loves playing against Brooklyn. Kanter averages (22.3) ppg against the Brooklyn Nets and is looking forward to facing Nets center Jarrett Allen tonight. 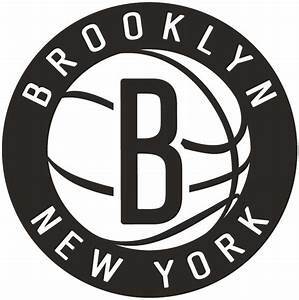 This Sports handicapper is aware Brooklyn is a prolific three-point shooting team, and they understand Joe Harris is a proven commodity which will be needed tonight. 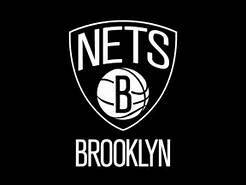 Bovada.Lv list the Brooklyn Nets win total at 32 games for 2018-19. Free Pick. Portland-2 Points. Also Play Online Poker Plus Other Casino Games and enter some of the best Tournaments on the World Wide Web. Can Suns break 14-game losing skid Wednesday in Los Angeles vs. Clippers? Written by NBA ATS Analyst Charlie Red McDougall. Charliessports.com produces it for Basketball Betting. NBA Expert Point Spread Picks are the best in the industry and will continue through the March Madness Finals in April of 2019. We’re always providing BETTOR Friendly cards. Our signature 500* premium ATS Predictions are unreal & I promise you won’t regret purchasing, cash in Daily. 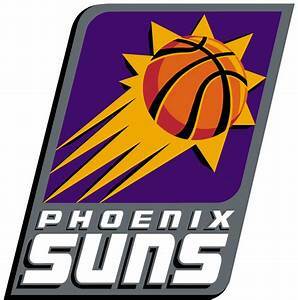 The (11-47) SU, (25-33) ATS Phoenix Suns latest defeat came at the hands of Sacramento 117-104 as 9′ point road UNDERDOGS ATS. In the loss, Devin Booker scored a team-high 27 points while Josh Jackson added 18-points. Tonight’s game is their finale before the All-Star break, and a victory couldn’t come at a better time as the Suns are struggling but playing competitive basketball. Phoenix is 1-4 AGAINST THE POINT SPREAD their last five on the road. UNDER bettors have made a profit the Suns last three overall. The Suns are 0-6 ATS the last seven between the teams in Los Angeles. OVER bettors have cashed in 4 of the last ten times, the teams have met. 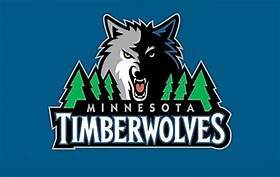 The (31-27) SU/ATS Los Angeles Clippers return from a six-game road trip which ended with a 130-120 loss to Minnesota as 3′ point UNDERDOGS ATS. The Clippers have won 7 of their last 12 SU and are still within striking distance of a playoff berth. The Clippers beat a terrific Boston team on the road before playing the Timberwolves, and they’ve beaten Phoenix eleven consecutive time dating back to 2016. 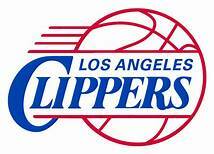 OVER bettors has made a profit 3 of the Clippers last four at home vs. Teams with an SU losing record. The Clippers are 1-6 AGAINST THE SPREAD their last seven at home. Los Angeles is 5-1 ATS their last six following an SU defeat. The UNDER is 4-0 the last four between the teams. 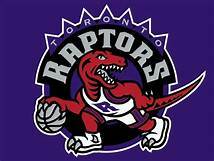 Wednesday’s game is 10:30 PM EST at Staple Center in Los Angeles, California. The Local television network will be broadcasting. The Betting Line has Phoenix as 8′ point road UNDERDOGS ATS. The TOTAL is 231′ points for Wednesday’s contest. It’s been a rough ending to the first half in 2019 as Phoenix looks to break an eleven game losing streak tonight against a Clippers team who has their number. 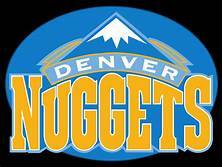 The last Sun’s victory came against Denver over a month ago, and they haven’t posted a road win since December 26, 2018, at Orlando. Shooting guard Devin Booker (24.9 ppg) returned to the lineup for the first time against Sacramento since a hamstring injury and showed why he’d be at All-Star weekend participating in the three-point competition. Another loss would tie a Suns franchise record set last season, and that’s why it’s essential for the team to come out focused tonight. Head Coach Igor Kokoskov traded for Tyler Johnson a move the organization believes will provide them with the backcourt of the future. The problem with it is neither Johnson or Booker are proven point guards; they’re more shot takers instead of playmakers which is a reason for concern. 2018 first overall draft pick Deandre Ayton (16.5 ppg, 10.5 rebounds, and 0.9 shot blocks) is showing promise and wants to end the first half on a positive note. This Sports Handicapper believes the Suns can take advantage of a tired Clippers team who also made wholesale changes to their roster, but we’re going with the Clippers-8′ as our FREE PICK. NBA expert analyst on many news media outlets has a lurking notion that the Clippers organization is looking forward to the 2019 free agent market to with Kawhi Leonard, Kevin Durant and Kyrie Irving in mind. The Clippers are ninth in the Western Conference, but after making wholesale changes on the recent trade deadline, it’s clear what direction they’re moving. 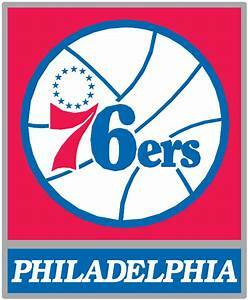 They’ve alternated victories the last seven games and are looking for the season sweep against Phoenix tonight. Tobias Harris is now playing in Philadelphia while they received Wilson Chandler, Landry Shamet and JaMychal Green. Garrett Temple is a veteran point guard who they acquired from Memphis and is an asset. 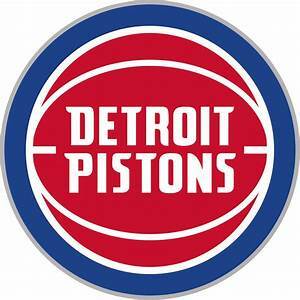 President of Basketball operations Lawrence Franks has the franchise heading in the right direction, and he also knows head coach Doc Rivers will have the team competing. However, make no mistake the Clippers are set to make a move in the 2019 NBA free agent market. Players on the roster will play their last game tonight before the All-Star break, and although the Clippers aren’t projected to get into the playoffs, players on the roster want to win. A key for a Clippers win to play their game against a struggling Suns team; the Clippers want to go into the break with a victory. Free Pick. Clippers-8′. Also Play Online Poker Plus Other Casino Games and enter some of the best Tournaments on the World Wide Web. New Orleans Pelicans @ Brooklyn Nets NBA Betting Betting Preview for Wednesday. January 2, 2019. Written by NBA ATS Analyst Bobby Wallace. Charliessports.com produces it for Basketball Betting. NBA Daily Point Spread Picks are the best in the industry and will continue through the NBA Finals in June of 2019. The (17-21) SU, (16-22) ATS New Orleans Pelicans beat Minnesota on New Year’s Eve 123-114 as 5′ point home FAVORITES AGAINST THE POINT SPREAD. New Orleans. They won the game without the services of star Anthony Davis who was out with an illness; he’s listed a probable tonight. 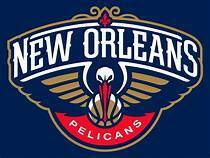 After losing 7 of ten SU, the Pelicans are last in the Southwest division. New Orleans has covered the POINT SPREAD 7 of the last ten between the teams. The Pelicans are 0-7 ATS their last seven following a POINT SPREAD cover. UNDER bettors have made profits the Pelicans last four after an SU victory. The OVER is 21-5 the last twenty-six times the teams have played. The (17-21) SU, (19-19) ATS Brooklyn Nets have lost two consecutive, the latest a 129-115 defeat by Milwaukee as 11 point road UNDERDOGS ATS. Brooklyn went through a stretch in December where they won seven in a row as they look to get back on track tonight. There’s still a lot of Basketball left, but the Nets are 1/2 game behind Detroit for the eight-seed in the East. OVER bettors have cashed in 5 of the Nets last eight at home. The OVER is 10-4 the last fourteen between the teams in Brooklyn. The Nets are 4-0 ATS their last four after 3 or more days of rest. Brooklyn has covered the POINT SPREAD their last four on Wednesday’s. Wednesday’s game is 7:30 PM EST at Barclays Center in Brooklyn, New York. The Local Television Network will be broadcasting. The Betting Line has the Brooklyn as 1 point home UNDERDOGS ATS. The TOTAL is 230 points for Wednesday’s contest. It’s a festive time of the year in New Orleans with the NFL Saints having home-field advantage through the 2018-19 playoff along with the annual Mardi Gras on the horizon. After sweeping Portland in the first round of last season’s NBA Playoffs, the New Orleans Pelicans were sent packing the next series, losing 4-1 to Golden State. 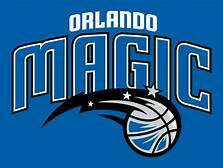 Expectations were high to begin this season, and they held serve with a 4-0 record to start 2018 until an injury to point guard Elfrid Payton. With the former University of Louisiana Ragin Cajuns star in the lineup, they won six of seven. Now that he’s back they have one of the best on-ball defenders in the league which should improve their 26th ranked defense that allow opponents (115.3) points per contest. New Orleans is 4-15 on the road this season, and tonight they need to get back on track against a Brooklyn team they’ve beaten 9 of the last ten, including a 117-115 victory on October 26th of this season. With Payton scoring 17 points. Anthony Davis (27.7) ppg is an elite talent that can carry a franchise on his back. Guard Jrue Holiday is soiled at both ends of the floor and is shooting (47%) from the field. Power forward Julius Randle (19.9) ppg with (9.4) rebounds per game could be the league’s most improved player since coming over from the Lakers. The defense will determine a lot tonight. The Best team of NBA Handicappers at Charliessports.com have won 5 of 6 involving New Orleans OVER/UNDER bets this season. Brooklyn Nets head coach Kenny Atkinson will have his team ready for action tonight before they’ll play 6 of their next eight on the road. The Nets have experienced success this season even without star Caris LeVert out of the lineup. For this first time in a while, the Nets are in the playoff race, but it’s essential that they continue to grow as a team. Guards D’Angelo Russell (17.9) points per game along with Spencer Dinwiddie (17.5) ppg have been doing a masterful job in the backcourt. However, it’s been the play of Joe Harris (13.4) who caught the eye of the coaching staff with clutch shooting. Since making rookie Rodions Kurucs part of the rotation, Brooklyn has won 9 of twelve games entering the first of the year. They’ve beaten the Lakers, Raptors, and 76ers at home this season, so they won’t be intimidated by New Orleans who has Anthony Davis. The Nets offense averages (110.6) ppg with the (36.0%) they shoot from three-point land ranking 8th in the NBA. The front office hit on drafting Center Jarrett Allen who along with Ed Davis gives the team a strong presence in the post. Allen is an elite shot blocker who’s learning how to finish shots around the rim; he’ll have his work cut out tonight with David and Randle. The Nets should have plenty of energy after having 3-days off, but it’ll show in their defensive intensity tonight, especially on Davis around the basket. This Sports Handicapper has also won 11 of his last 13 ATS in games involving the Brooklyn Nets. Free Pick. New Orleans-1 Point. Also Play Online Poker Plus Other Casino Games and enter some of the best Tournaments on the World Wide Web.